INDUSTRY.co.id - Jakarta - For those of you who are looking for business opportunities, try the lyrics of residential business or property, one business that will never die and minimal risk. Yes, occupancy is one of the basic human needs, the need to live. This opportunity you can certainly use to invest. Buy a house ago when the moment is right you can sell again his house. Or it could be while waiting for the moment to resell your rented house. Tantalizing, is not it ?! And one of the areas whose investment in the home tread is sweet enough to taste is the city of Solo. Why Solo? In 2016, the condition of property business in Solo dominated middle-class housing transactions. Yes, middle-class housing that cost below Rp500 million last year is less 'passionate' than the price of homes ranging above Rp500 million in Solo. But over time, this year the movement of the property market in Solo is so excited. 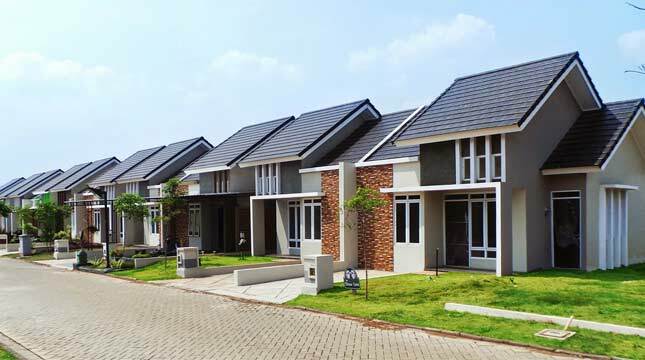 Rumah.com Property Index noted that in Q3 2017, the price of tread houses in Solo with a range below Rp 1 billion reached Rp 5, 42 million per square meter. Increased by 5.74% compared to the previous quarter. Check here for housing listing options in Solo for a price below Rp 1 billion. If viewed from Q3 2016, the median price of tread houses in Solo with a range below Rp 1 billion indeed continues to rise to its peak in Q3 2017. One factor of the rising prices of home treads in Solo consistently increases is the development of property in Solo which is increasingly significant from time to time. Not only from the residential sector, but also the commercial sector such as row of shop and shopping mall lifestyle in the corridor Ir. Soekarno Street Shopping center is also encroached by international-class tenants due to the increasing purchasing power of Solo people. And this of course increasingly sparked the interest of investors from outside the city to invest in this city. The flight traffic to Solo is also higher than Makassar, Jakarta, and other big cities. Development of high rise building also continued to increase followed by superblock residential trends. With such potential, Solo is no longer underestimated. As information, currently the condition of Solo is already quite solid, it also triggered the continuous rise of median home tread prices in Solo.